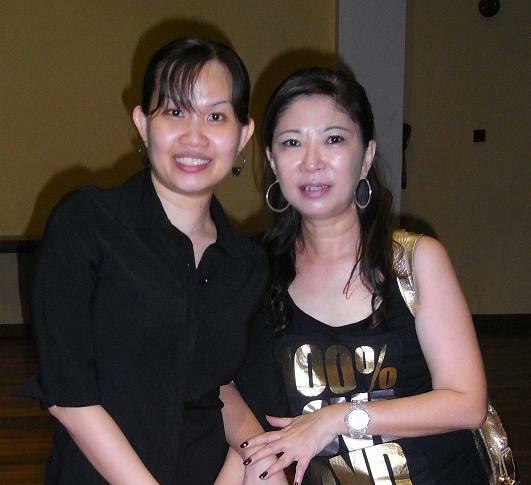 I was in Singapore from 23-26 November and managed to meet up with Joyce Lim (JusDanz). We have not met or communicate before although we’re quite near in terms of locality, but it took a common friend from UK to introduce us both… haha! Thanks to Mike, we met up, had dinner and most importantly, danced together! I “gatecrashed” into her class at YMCA about 45 mins after the class started and we met for the first time. She was recapping Sailing (Jo & John Kinser) to her beginners and I jumped in. I managed to pick it up easily as the steps are basic NC2S steps. Danced it for 2 rounds. After that, Joyce and I demo-ed the dance Hare Ram to her beginners, and to both our surprises, the class had already known about the dance Hare Ram! After class, Joyce and another student, Matina, took me for some sumptuous seafood dinner at Newton. Yummy!! Thanks to Joyce for a wonderful night! Will see you and your students again in 2 weeks time, this time in JB! That’s how fun line dancing can be… you make lots of friends from another country/state who share the same passion. When you travel, you don’t have to worry about missing your classes, because you still get to dance in the place u travel to! …and Joyce’s top says it all…100% Love and Kisses. 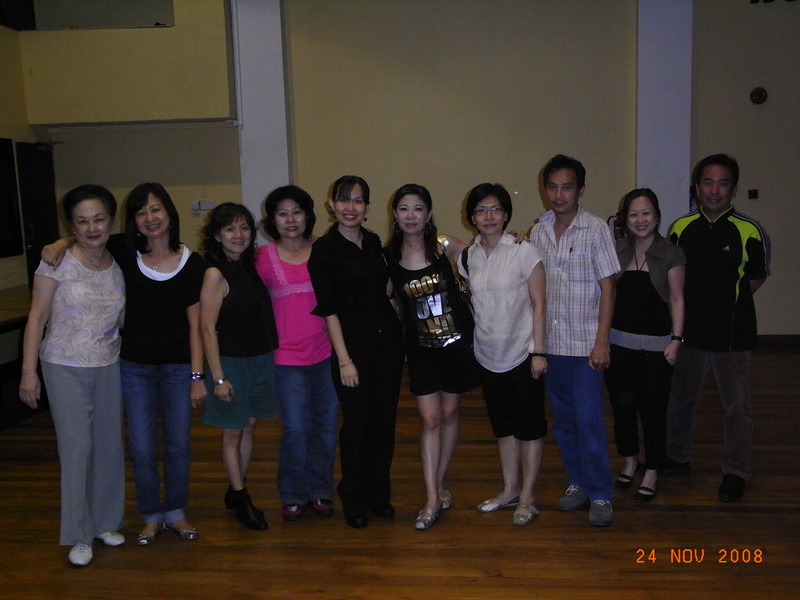 … hmmm… just been informed about Air Asia London to KL (aprox 1000RM)… maybe see the family..